What equipment is needed to trap the squirrel? 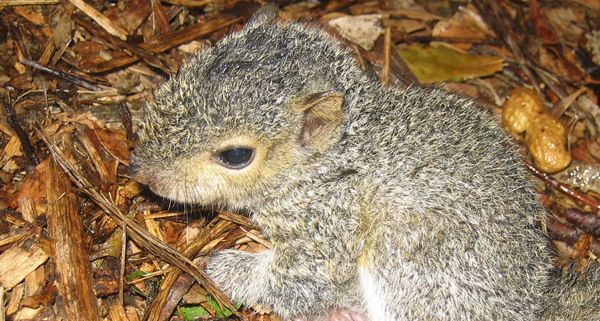 Trapping the squirrels is one of the most effective techniques that you can use to trap the squirrels because you will be positive that they will leave your yard because you will personally evacuate them after they have been trapped and come up with measures that will prevent future invasion. When dealing with the trapping equipment, you have to ensure that you use the appropriate baits that will lure the squirrels into the traps. You can either buy the traps or you can come up with your own homemade trap. It is the commonest equipment that is used to trap squirrels, it is made from metallic material that is very strong and in most cases never misses the target. It also has an in built special mechanism that automatically closes the door once the squirrel is caught. You have to use bait that will attract the squirrel into the cage before the door closes. The cage trap will be very effective it is spacious enough to capture the whole squirrel including its tail. You can try out this trapped and you will be impressed because it gives the best results. If you have come across the rat trap, then you can be able to identify the mortal trap they resemble, it uses the spring mechanism to capture the jaw or the foot of the squirrel in case it steps on it. It is a very dangerous trap and is not recommended because once the squirrel is trapped there are high chances that it will suffocate or even crush the squirrel if the spring is too tight. You all know that it is against regulations to harm more especially kill any wildlife animal, therefore you have to avoid using this trap when you intend to get rid of the squirrels. Squirrels are very cunning animals; you have to use the right baits to lure them. The best baits that you can use to trap the squirrels include; nuts, crackers, peanut butter, bread crumbs and other sweet seeds. The baits have to place in locations that you are positive that you will be able to capture the squirrels once they are having a sweet taste of their bait. This trap has two doors making it easy to trap the squirrels especially if they are still in the yard. It is a live trap and this makes it the best because it will not harm the squirrel in any manner. Go back to the How to get rid of squirrels home page.